Kevin LaMar, Founder of F.R.E.SH. Counseling Solutions, and Jeffrey LaMar, CEO of Financial Stability, have pooled their resource and talents to offer clients and customers a more complete and satisfying experience. Part of the F.R.E.S.H. Approach is dealing with financial responsibility. 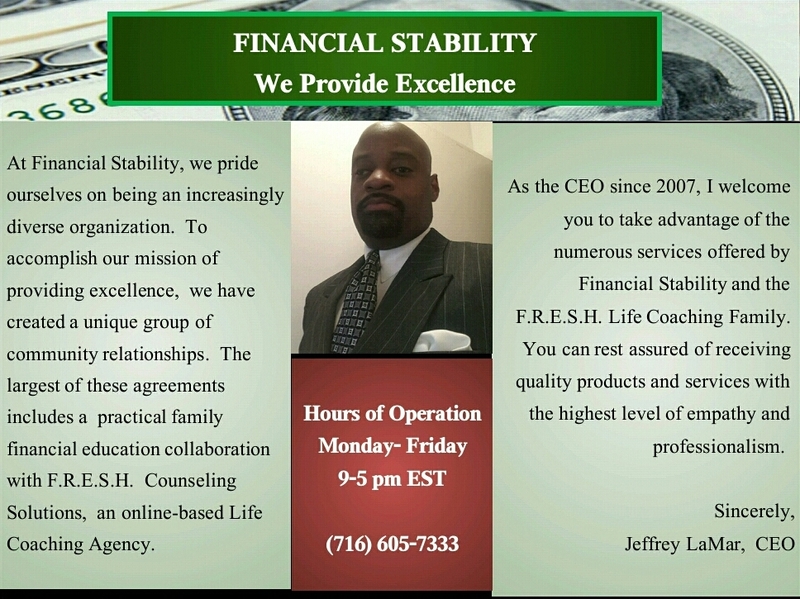 We are proud to announce that clients in need of addition services, to include Financial Analyses, asset management, financial planning, or investment strategies, may now consult with Jeffrey LaMar at Financial Stability. 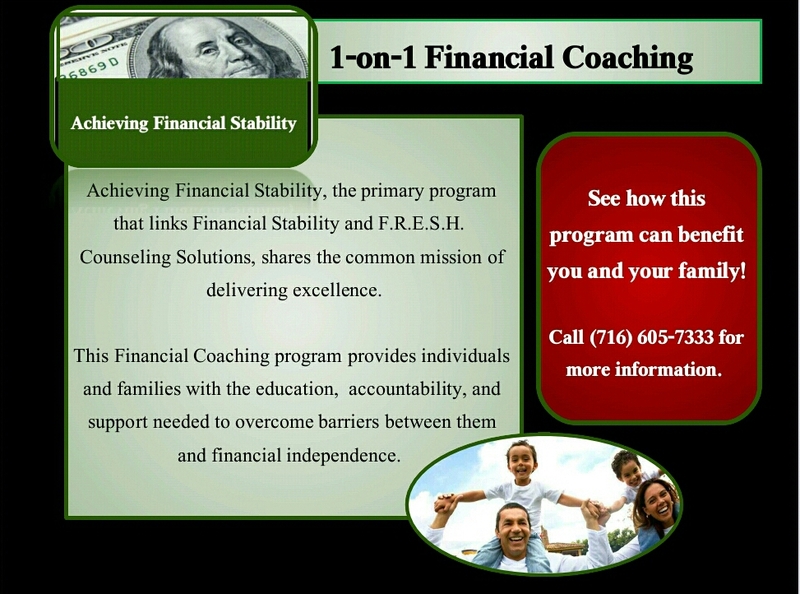 Clients can rest assured they will experience the same level of excellence they have become accustomed to from F.R.E.S.H. Counseling Solutions.